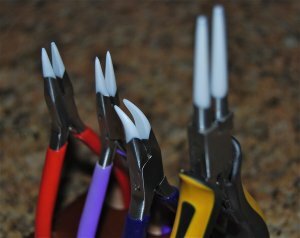 We all have a great love for our jewellery tools, but at the same time we also despise them. If you’re not sure why I am saying this, maybe you haven’t encountered it yet? Well, let us tell you – we hate it when they mark, marr or scratch our items! Sure one can say that practice makes perfect which would ultimately result in next to no marks at all, but why not completely avoid it in the first place?! This can also help those who have just started on their jewellery making journey to not feel discouraged by all the marks on their items. So, we have decided to put together a list of ways to protect your items from marking, marring and scratching! One of the first things you would want to do is to take a magnifying glass and closely inspect your tools for any burs. If you find some, you are going to want to file or sand it them away and give it a nice polish to make sure you have an even smooth surface. 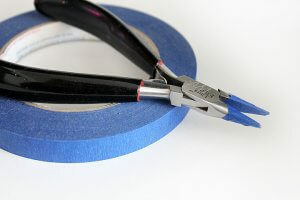 You can wrap your tools in a rubber coating such as Tool Magic or Colour Guard. This is easily done as all you do is dip your tools in it and then find a nice place for them to dry. Often multiple layers will work better too. The convenient thing about it is that once it starts to wear off, all you do is remove the coating and then proceed to add a new one! This is also useful for colour coding items for better organization and recognizing them quickly. This is a fairly easy one and won’t cost much. Try covering your item such as wire or plate with a piece of thin leather while working with it. It might feel a bit tricky to manage at first, but it really helps with gripping and you’ll get the hang of it with time. This is also great as there is no adhesive to remove later. This is probably one of the most convenient option as you don’t have to do anything other than buy the tool. 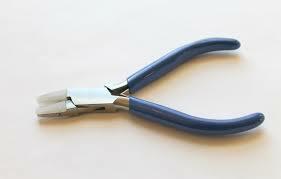 There are flat nose nylon pliers. Ideal for flat plate and wires you want to bend or shape. As a side note – the nylon might wear out quickly depending on how often you use it, so this might be the most convenient, but not necessarily the best. We’re pretty sure most people have some of this lying around the house somewhere, and if you don’t, it’s really inexpensive and will last you a lifetime! Simply wrap it around whichever area is giving you problems and you will notice the difference immediately. Simply remove and re-apply once it starts to tear or wear off. There we have it, fellow crafty people! We hope that these ways to protect your items from marking, marring and scratching has shed some light upon the darkness. We all know how frustrating it can be, but it is time to put that to rest for once and for all! Next time you get to work, try one of these (or even all of them) and see how it works for you. 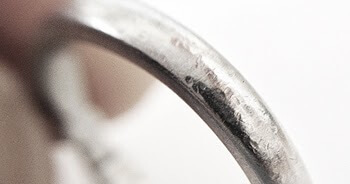 How to avoid damaging your wire or plate when bending?